All 17 Motherhood Maternity promo codes have been verified and tested today! It’s time to bump up the savings. Start earning Bump Bucks with every purchase in-store and online and you’ll receive a coupon for $30 off of every qualifying purchase of $75 or more. When you shop online, you’ll receive Bump Bucks in your email on all qualifying orders that you can apply to future purchases. If you shop in-store, check the bottom of the receipt of your qualifying purchase to see if you’ve earned any Bump Bucks. You can redeem your bump bucks on future purchases during the specified period indicated on your Bump Bucks rewards. To redeem your discount, remember to keep the receipts that have the special savings promo code and either present the code in-store to a sales associate or enter the promo code yourself online before checkout. Want to get all of the best Motherhood Maternity coupons sent straight to your inbox? Subscribe to the newsletter and you’ll get all the best offers and deals right where you want them. Email subscribers are the first to know about all of the biggest sale events, special offers, and exclusive discounts right when they are available. Motherhood Maternity has flash sales that sometimes only last for one or two days, so they can be easy to miss. As an email subscriber, you’ll never miss out on a single opportunity to save some extra cash on their order. Plus when you sign-up to receive emails, you could be entered to win a big sweepstakes prize. For the most recent sweepstakes, you could sign-up to win a year of free diapers. Want to get free shipping without a Motherhood Maternity coupon code? Select “Ship To Store: Free” at Check Out and you’ll get your order sent to the closest store at absolutely no cost. Later, you’ll receive a “Ready for Pickup” email which means your order is in the store waiting for you. Plus, if you spend over $89 on your order you’ll receive free shipping and free returns at no extra cost. Always on the go? Now you can get savings alerts right to your phone. Plus, if you sign-up for text alerts, you’ll receive a discount of 20% off your next purchase in-store. You’ll be the first to learn about special deals, Motherhood Maternity discount codes, and the latest store news. Don’t miss out on your opportunity to save on your next purchase and get priority access to daily offers. Learn about all the current Motherhood Maternity promo codes and offers on the “Coupons & Deals” page. This page is updated as soon as there are new deals available, so check often so you don’t miss out on a single offer. You’ll see offers like “Buy One, Get One” deals, big discounts on clothing styles, and much more. You can find the link to the deals page at the bottom of the Motherhood Maternity website. There’s no reason to spend full price on outfits you’ll only wear for nine months. You can save big on cute tops, comfortable stretchy pants, beautiful dresses to show-off your bump and even clothes to wear post-pregnancy. 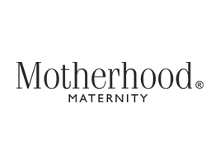 Motherhood Maternity coupon codes are added frequently, so check back often and see how you can save every week of the year. Since you have to start shopping for a whole new wardrobe, why not earn special benefits while you’re at it? Sign-up for the Motherhood Maternity Perks Savings Program and you can make the most out of every purchase. Plus, members will also receive sample products and exclusive offers from Motherhood Maternity, A Pea in the Pod, Destination Maternity and other store partners. Register online by entering your email, name, and due date and you can start receiving all the benefits today. Starting a family can be expensive, but new maternity clothing shouldn’t have to be. Save big on all the latest styles during Motherhood Maternity flash sales. Plus, you’ll get limited time discounts by applying a Motherhood Maternity coupon to your order. You’ll find flash sales all throughout the year on all kinds of items in the store. You can expect to see big sales on special shopping days like Black Friday and Cyber Monday, and even national holidays like Labor Day. Some sales only last for one or two days, so you need to be quick to take advantage of these amazing deals and offers. Don’t wait to save - you can get big discounts on styles for every trimester.